When you take the time to get acclimated to university life and all your new surroundings, you are giving yourself the best foundation on which to establish a successful college career. 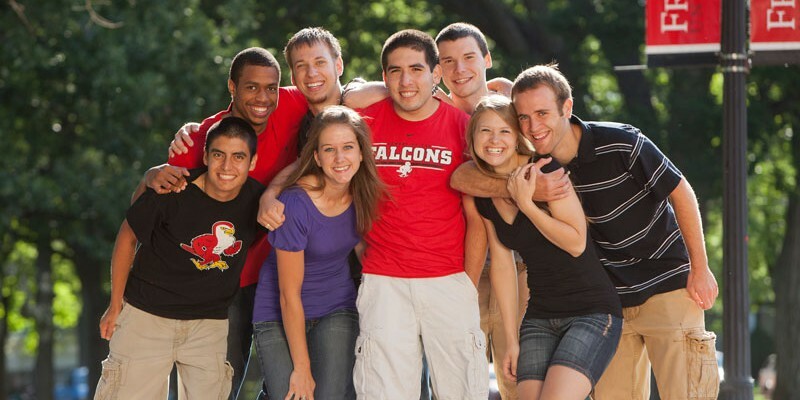 Friends University provides ongoing programs and services that support new students and families in transition to college. We provide a welcoming and inclusive atmosphere, connect students to University resources and people, acquaint new students with institutional expectations and values, promote learning and discovery both inside and outside of the classroom, and foster pride in the Friends University community. Enrollment Day is the first part of the orientation process for all new and transfer students in the College of Business, Arts, Sciences and Education (CBASE). This day gives you an opportunity to meet with an academic advisor, enroll in classes and receive information to be ready for the first day of class in August. New Student Orientation is when the Friends University college experience begins for new and transfer students in the College of Business, Arts, Sciences and Education (CBASE). You will start the mandatory Friends Experience class and gain resources to be successful while being a Friends University student. The New Student Guide can also provide a sound introduction to the university’s resources and Community Life Standards. CAPS and Graduate School Orientation is orientation for new students in the College of Graduate and Professional Studies. First-Year Mentors are current students who welcome and assist peer students in transitioning to Friends University. Week of Welcome – Every semester the Office of Campus Life welcomes new and returning students to campus. You will be invited to attend a wide variety of events. If you have trouble viewing the Extreme Green Move-in Day 2015 video above, please visit our YouTube channel. For more information about our New Student Transition programs, please contact Amanda Claxton, Director of Campus Life, at 316-295-5529 or orientation@friends.edu.